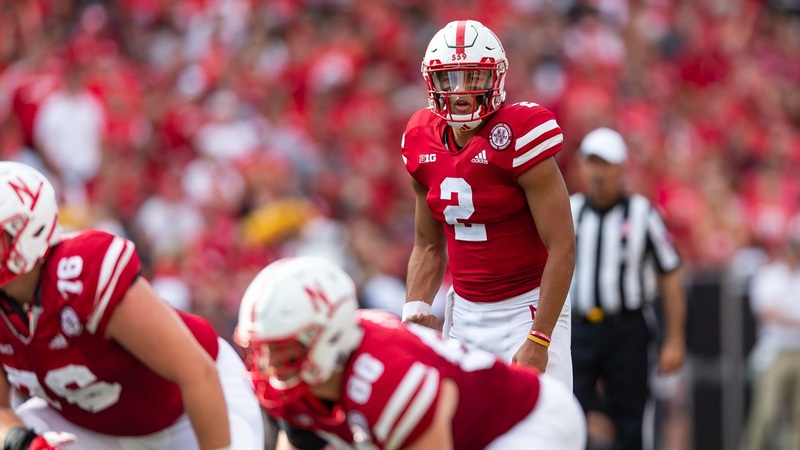 Whether freshman quarterback Adrian Martinez plays on Saturday against Troy or not, the looming Big Ten opener and road clash with Michigan doesn’t seem like it will play a factor. If Martinez can play, and the knee injury he suffered against Colorado doesn’t limit him, he’ll play. There’s no resting for a later date. Frost said Martinez will go through warm-ups on Saturday. They could take his game-time decision designation right up to “two minutes before kickoff.” He hasn’t practiced yet this week but he went through walk-throughs with the team Thursday. Nothing was full-speed, so it’s a little hard to tell his game-readiness, Frost said, but the staff has seen improvement. In Martinez’s absence, backup sophomore Andrew Bunch has gotten the lion’s share of the first-team reps. Frost says the offense won’t change with Bunch calling the shots because he can do all the same things they ask of Martinez. He called it “a shame” Bunch had his reps cut into late in fall camp when Nebraska moved to a two-quarterback race, but as the reps have come back to him, the walk-on has proved why the coaching staff liked him so much in the first place. “When he was getting equal reps to the other guys in camp, he was right in the mix with those guys,” Frost said. “With added reps this week he was reminding me why he was at least in the conversation at the beginning of camp and through spring ball. Bunch went 4-of-9 passing for 49 yards against Colorado, with all of his yardage coming on the team’s final possession of the game, trailing 33-28 with no timeouts and just a minute left on the game clock. All week the staff has expressed confidence in Bunch. Frost was no different Thursday. >> Frost said Monday and Tuesday’s practices were just okay, but Wednesday and Thursday, the team was dialed in. “I feel way better about where we are,” Frost said. >> Nebraska will need to be sharp against Troy. The Trojans enter Memorial Stadium at 1-1, but they were an 11-win team last season with an LSU upset in Baton Rouge on their resume. Frost knows they’ll be looking to pull another upset. “I’ve coached at a place like this and when you go play a game like this, it’s like the Super Bowl for them,” Frost said. “It’s a great opportunity for a team to come in to an environment and try to win and they did it last year. They went into LSU which is one of the best environments in the country and beat them pretty handily. >> Asked about the new headset rule, Frost said it hasn’t affected the team yet but he still has some complaints. “One, changing the rule to try to effect change on something where most people are doing the right thing anyway and there’s a few that aren’t and the rest of us have to suffer for it,” he said. This season, the NCAA limited headsets on sidelines to 20 per staff. (That number has since been bumped to 23 but the extra three are “listen only.”) Fifteen are designated for coaches and graduate assistants. Four can be used by players. The remainder can be used for noncoaching activities, like charting plays. Frost doesn’t like some of the stipulations placed on the headsets. >> Frost touched on scheduling Nebraska’s 12th game as well.